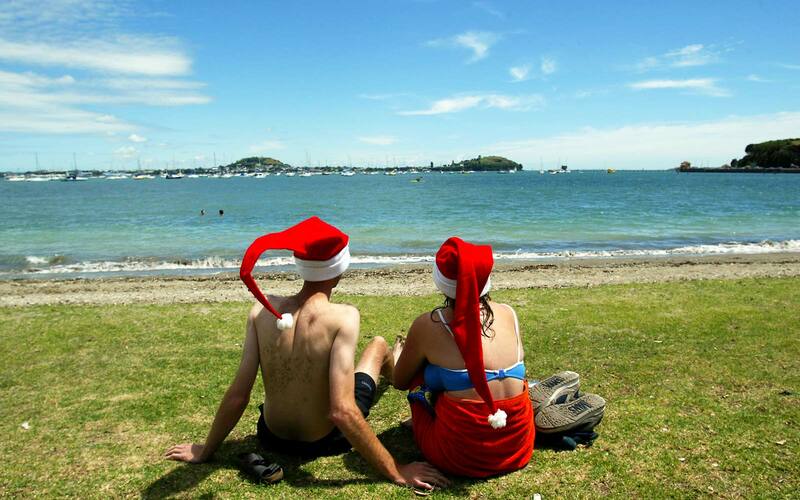 Christmas has come early — at least for the tropical state of Hawaii. Not only did the state see heavy snowfall over the Big Island’s summits this week, but it will soon also get a very special visit from Santa Claus himself. 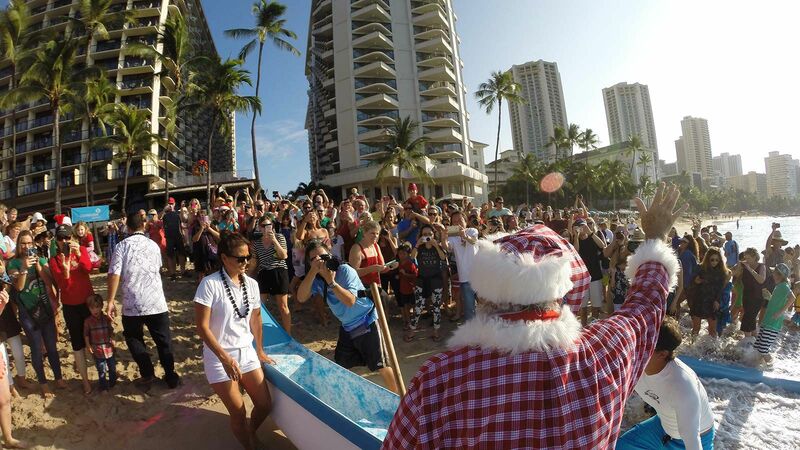 On Dec. 9, the big man will head to Hawaii (and leave his reindeer at home in the North Pole), for a visit to the Outrigger Waikiki Beach Resort. However, he won’t be arriving by sleigh, but rather in a much more Hawaii-friendly fashion in his own personal canoe. 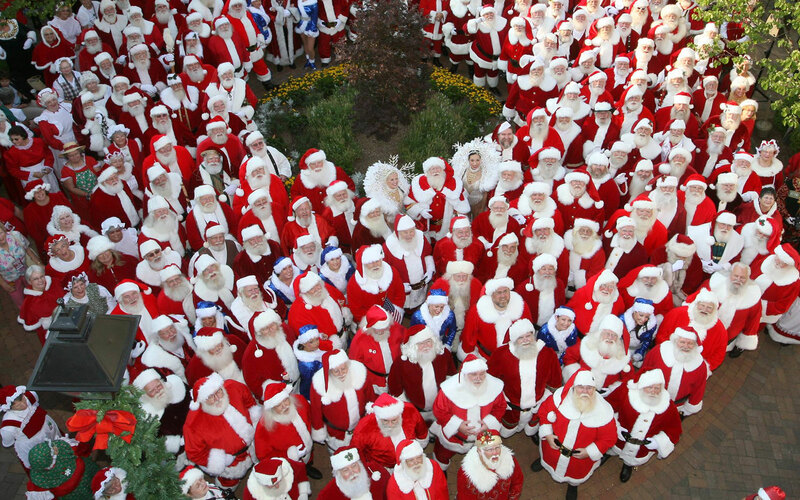 Guests are invited to cheer Santa on as he makes his way to shore at the resort. According to Outrigger, Santa and his helpers will ride the waves right onto Waikiki Beach where they will be warmly greeted by a keiki hula group. In case you’re wondering what that may look like, just check out the video from the hotel’s 2015 event below. Following his arrival, families will meet with Santa and pose for pictures with the “Hawaiian Kana Kaloka” in the resort’s lobby. But the fun won’t stop once Santa disembarks from his boat. The holiday party will continue at the resort’s new beachfront restaurant, the Reef Bar & Market Grill, on Saturday, Dec. 16. 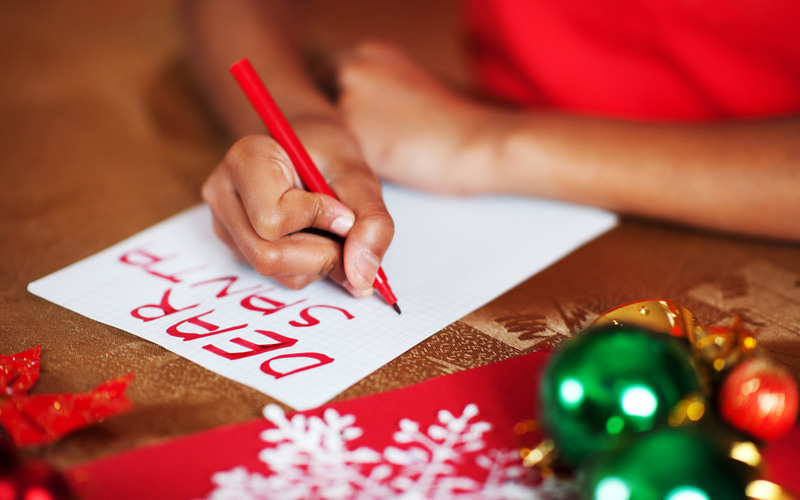 There, guests who have been placed on the “nice” list will be invited to sit and dine with Santa. Sorry naughty list people, you’ll be denied entry, and don’t try to sneak in because Santa made his list and checked it twice. At the restaurant, families will have another opportunity to take pictures with Santa and take part in other holiday activities. So go ahead, make your Christmas list, put it in an envelope, then hop on a plane to deliver it to the man himself in person in paradise.